The sale of material from around the world which was held on July 15 by Grosvenor at its auction rooms at 399-401 Strand, London reached a total of £627,482 (all prices quoted are inclusive of the buyer’s premium). The continuing strong demand for Great Britain was fully evident at the Grosvenor sale held on May 26, at which the realisations, including the buyer’s premium of 17.625% totalled over three quarters of a million pounds. 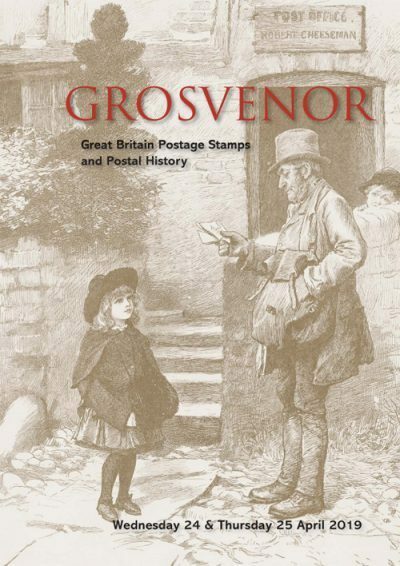 The Grosvenor Autumn 2003 auction, held over two days on 19th and 20th November, and which has been described as the strongest all World auction to be held in London for some years, realised a final total of £1,528,046.